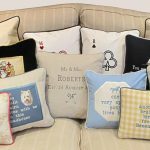 Fun Cushions provide personalised luxury embroidered cushions, tailor made cushions, bespoke dog cushions, cushions with messages such as wedding present cushions and personalised birthday cushions to make occasion very special. With over 15 years experience in the industry, the team at Angel Blinds and Shutters have a wealth of experience and are able to help you find the perfect blinds or shutters for your windows. As a family run, business, we work closely with our customers, providing a professional and friendly service at all times. 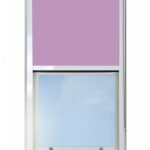 Our range of made to measure blinds include roller, venetian, vertical, blackout and twist vision. For more information or to view our range, please visit our website. 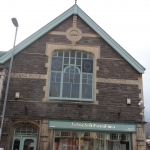 Abergavenny’s longest established premier soft furnishings business for all the leading names in fabrics, wallpapers, blinds and poles. We are an established family business with over 30 years experience. We pride ourselves on our service and quality. We provide made to measure soft furnishings with an expert measuring and installation service and offer fabric from all the major design houses. We also supply all types of blinds, tracks & poles, wallpapers & paint and have a first-class reupholstery for both antique and modern furniture. 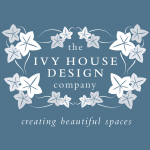 The Ivy House Design Company is a ‘One Stop’ Interior Design & Project Management Company servicing the residential and commercial markets. 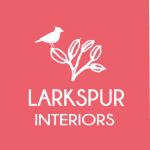 Interior Design Consultants – supplying bespoke furniture, fabrics, wallpaper, lighting and we have our own curtain and blind making facilities on site.We work with an extensive network of suppliers and have our own team of highly skilled tradesman. Based in Ireland we work nationally and Internationally. 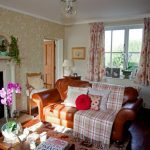 I design bespoke window treatments and other soft furnishings. 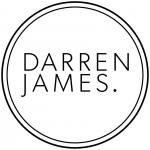 I can visit a client’s home to discuss requirements taking into account the style of home, room layout, window position and light levels. With this we can work together to decide on the best solution taking into account style and budget. 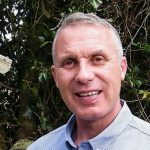 I can provide advice on the suitability of your existing fittings or I can supply poles, tracks, tie backs, hold backs or any trimmings to co-ordinate with a fabric or scheme. I also make co-ordinating accessories such as cushions or throws. To achieve a beautiful bespoke finish, my curtains and blinds are hand sewn, only using a sewing machine where absolutely necessary, meaning minimal visual stitches. 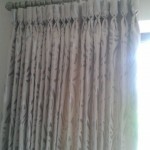 I hold an accredited qualification in curtain & blind making and use professional techniques for a high quality finish. My desire is to provide the client with personal advice and service that is often lost in large curtain makers on the high street. Please contact me for a free no obligation quotation. 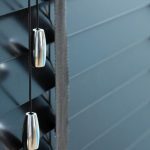 We offer a range of window blinds which includes Bloc Cassette Blackout Blinds, Roller Blinds, Vertical Blinds, Pleated Blinds,Roman Blinds, Wooden Blinds, Duette Blinds, Motorised Blinds, Senses Blinds online and throughout the UK. 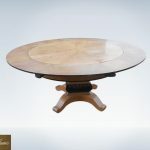 As a Milton Keynes based family company, we can bring all our collections to your home. We will measure and help you choose the right blind for your project. 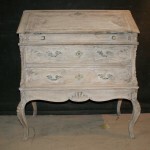 Fitting and minor repairs are also available. 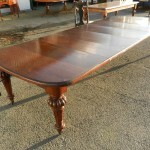 Largest stock of original antique dining tables and sets of dining chairs in the uk. Design at Denton Drapes specialises in the design and creation of high quality soft furnishings, hand-sewn by our skilled team of curtain makers using traditional craft techniques in our fully equipped Bedfordshire workroom. Established in 1997, we offer a complete service to homeowners and interior designers from design and advice right through to installation and hanging. We provide a make-up service to the trade, sell fabrics and haberdashery and offer 1-1 curtain making training and workroom observer days. We also market a curtain makers table cover in heavy duty canvas printed with a metric grid. This unique workroom productivity tool is manufactured for us in the USA to our own specification and has proved extremely popular with curtain makers across the UK and in Europe. 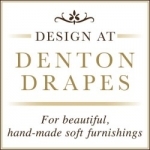 Denton Drapes is a fully accredited Member of the Association of Master Upholsterers and Soft Furnishers (AMUSF) and our Director Penny Bruce currently serves on the Board of the Association. A family owned independent business that has been established for over 30 years. 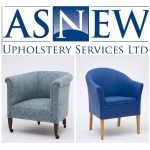 Serving all the Trade with soft furnishings and furniture for Interior Designers, Architects, Hotels, Leisure Facilities, Public Buildings, Offices, Care Homes, Healthcare, Schools and Universities. Come to ISF for the complete job. 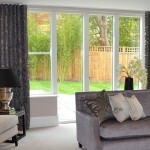 Don’t worry about working with several suppliers of curtains, blinds, upholstery, flooring etc. Get it all from one supplier, International Soft Furnishers. 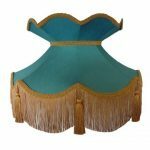 We offer a bespoke interior styling and soft furnishing service. 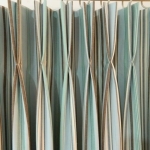 We can also offer a supply only service for fabrics, wallpapers and alternative carpets and rugs. 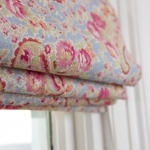 Hand finished, custom made curtains, roman blinds and other soft furnishings. 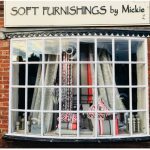 A bespoke soft furnishings business in the Warwickshire area. We offer a range of fabrics to choose from for handmade curtains cushions and roman blinds.We are also happy to work with customers own fabrics. We undertake curtain alterations and restorations. Free quotes and free fitting. Call Sharron for friendly and helpful advice. 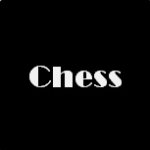 Chess Designs supply curtain and upholstery fabrics, ranging from the traditional to the contemporary. Arcadia Antiques in Warwickshire UK, deals in import and export of decorative antique country furniture, decorative antiques accessories, antique painted furniture, antique pine furniture, painted antiques, pine antiques and French antiques.